Jay-Z is going for the gold and I’m not talking about album sales. 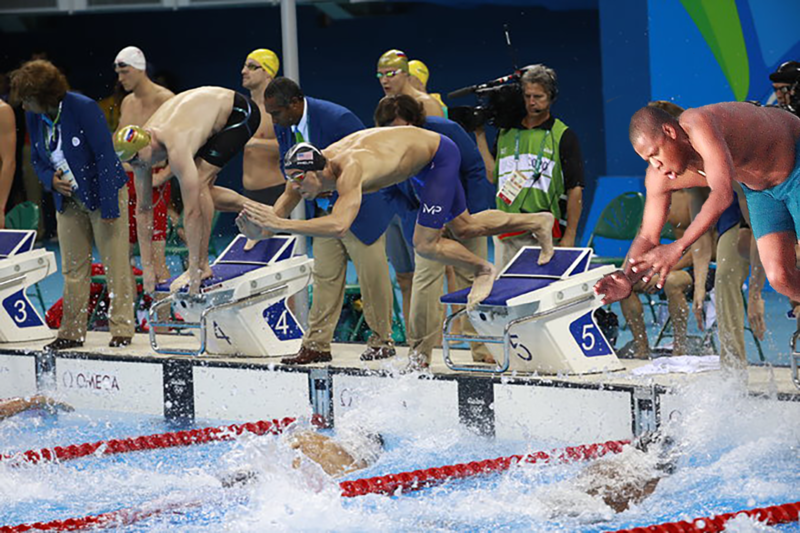 He has moved his talent to the Olympics as he goes head to head with Michael Phelps. Look at his form, as Beyonce would say, “flawless”. I used the infamous photo of Jay-Z swimming, that had become a popular meme, to create this photo for the Celebrities out of Place assignment. I had utilized photoshop in order to isolate his figure and rotate his image to fit into this background aspect. It seems to fit in perfectly. Good job!